Just over one year ago, plans for the biggest changes to the welfare system in more than 60 were given Royal approval. One of the main areas to see those changes is the way in which house housing benefits are distributed. From 1 April, those under-occupying their council or housing association home, will see changes in the amount of benefit they are eligible for. A proposal that will affect 660,000 working-age social tenants. 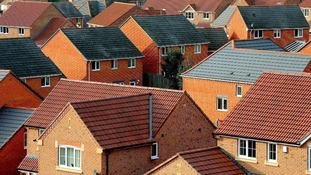 Next month benefit claimants will only be allowed one bedroom per person, or per couple, in the property they live in. The Government says those affected will lose an average of £14 a week, with Housing association tenants expected to lose £16 a week on average. There will be exceptions, but in Bristol alone, more than 4700 households will be affected. The coalition say the changes will help reduce the total welfare bill, alleviate over-crowding, and assist those on the waiting-list for accommodation.Though there are concerns from those affected that the cuts could be unaffordable.